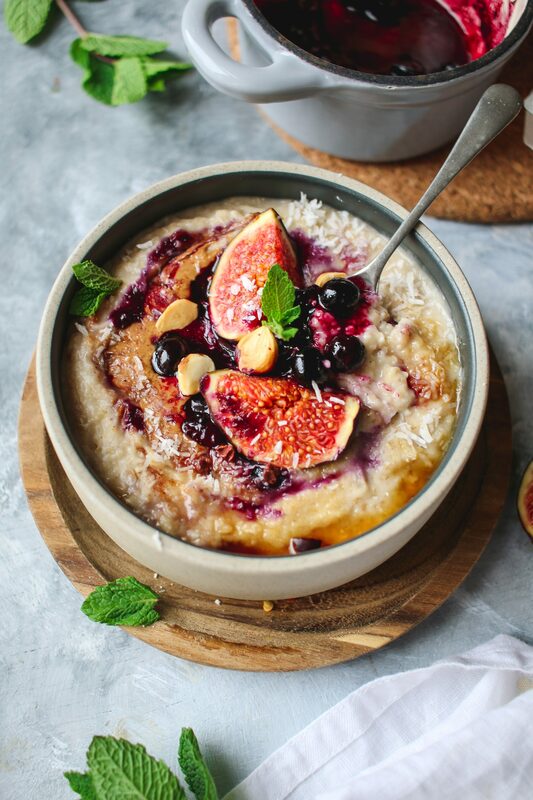 What's more comforting than a creamy bowl of hot porridge topped with seasonal fruit and crunchy nuts? Nothing you say? Well good because here is a delicious recipe for you to make (or prepare and take to work, you can always use the microwave). 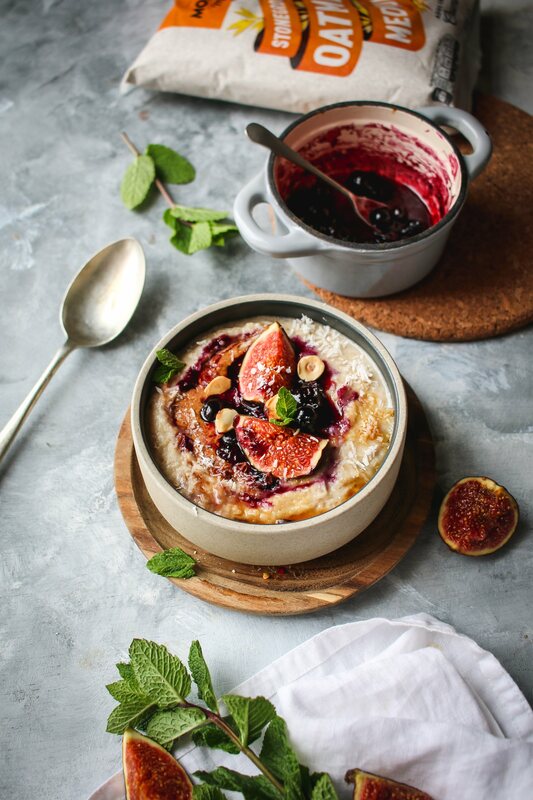 Fun fact of the day it's The World Porridge Making Championships this week in Scotland (October 3rd). Every bowl is actually made with oatmeal instead of rolled or jumbo which is what I've used today. Mornflake's to be exact! Add the peanut butter, coconut nectar and hazelnuts then dust with the desiccated coconut.